Cooler Master introduces the CM Storm Recon, an upcoming gaming mouse with an ambidextrous design. The peripheral promises an ergonomic grip and features the Avago 3090 optical sensor. 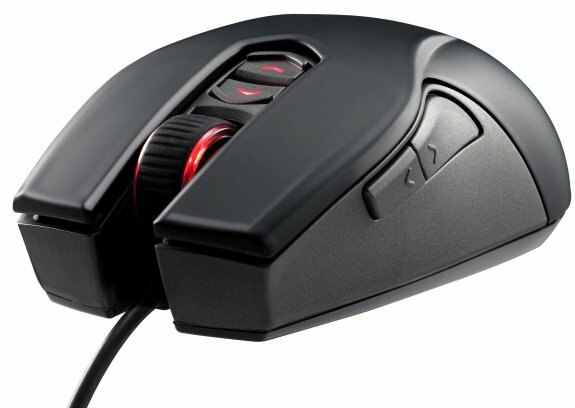 Gamers will be able to adjust the mouse's sensitivity on-to-fly from 800 to 4200 DPI, and the included software tool will also let you customize the lift off distance and USB polling rate. On top of that, the mouse has a multi-color mouse wheel light that lets you identify the currently active gaming profile. The Recon's onboard memory can store up to 5 profiles and up to 36 macros. Cooler Master, an industry leading chassis, thermal solution, peripheral, and accessory manufacturer, today adds a formidable new tool of war to its arsenal, the Recon Ambidextrous Gaming Mouse by CM Storm. Sporting an ergonomic design with a Super Grip coated mouse body; Recon delivers a comfortable grip no matter if you are right or left-handed. It features a masterfully crafted body and ultra smooth Teflon mouse feet that provide a natural grip and motion, delivering a truly immersive gaming experience. Recon incorporates the latest Avago 3090 optical sensor that provides a range of movement speed that spans both precise and swift movements – 800 to 4000 DPI. 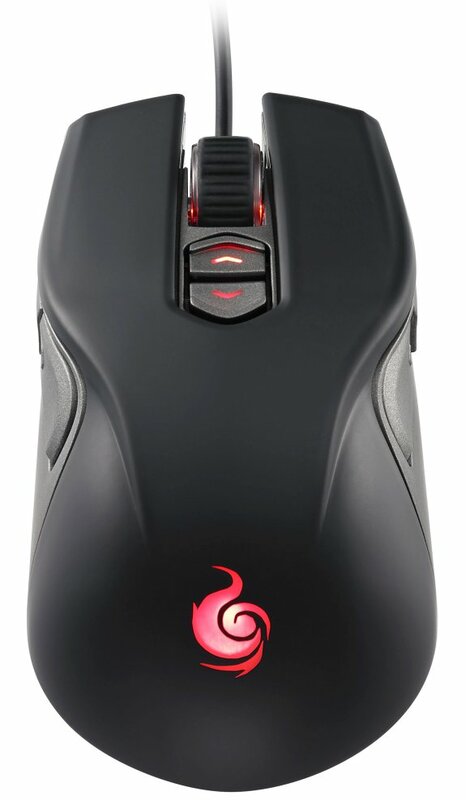 This mouse allows the user to change DPI on-the-fly and also to change the lift off distance and USB polling rate in the software. USB data rate boundaries have been pushed to reduce response times. Long-life switches ensure that the Recon will keep up with even the most extreme actions per minute. In addition, a multi-color mouse wheel light makes identifying the currently active profile a simple task – storing up 5 profiles and 36 macros within the mouse. These features are all accentuated by an imposing design that channels the heart of a gamer. Take on all opponents with the flexibility and capability of the CM Storm Recon Ambidextrous Gaming Mouse. Availability is slated for mid-October with a price tag of 49.99EUR.